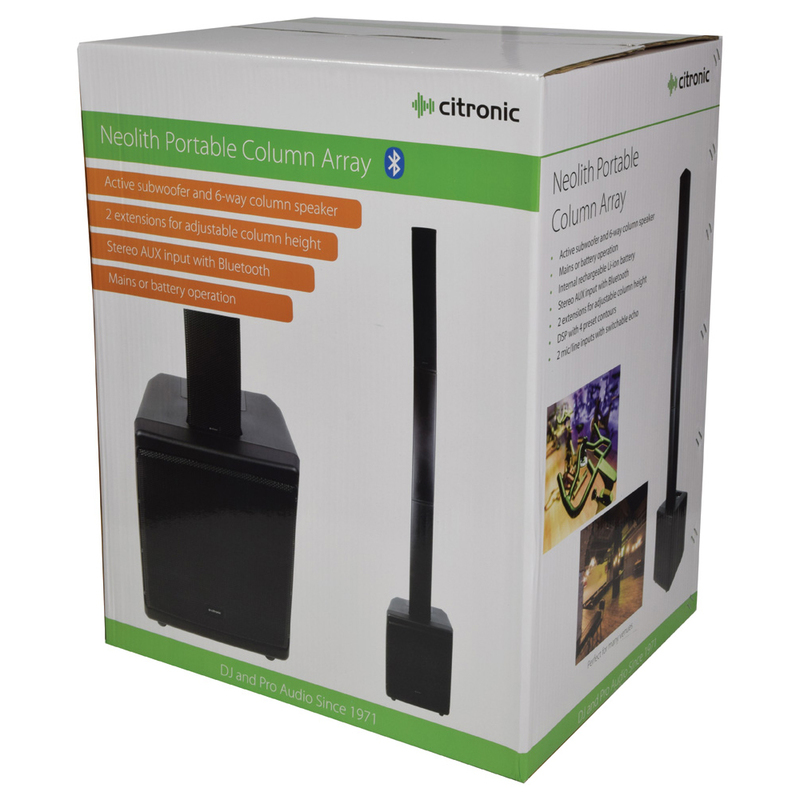 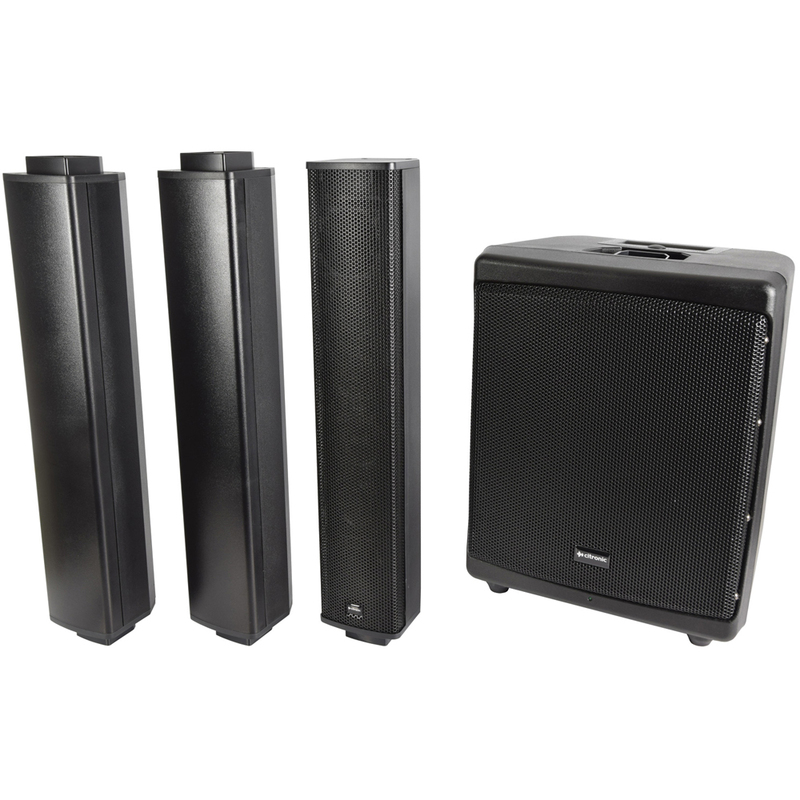 The Citronic Neolith is a height-adjustable, rechargeable, column array style speaker, suitable for audio playback, small live performances and public address, with corresponding inbuilt DSP settings. 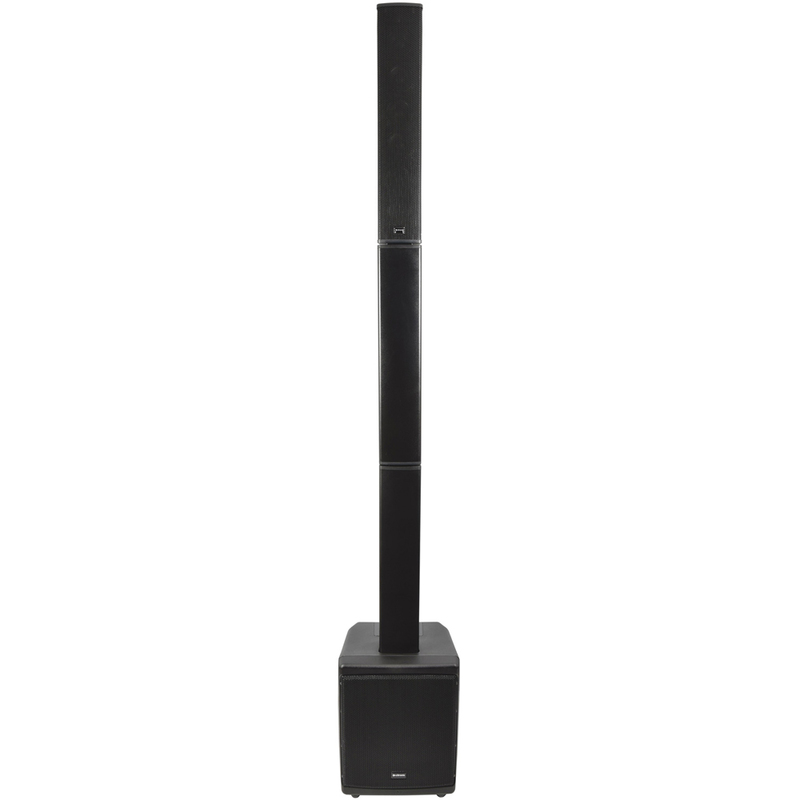 The Neolith features an active moulded subwoofer and a column speaker with 6 x neodymium drivers, capable of delivering 300Wrms (1200Wpeak). 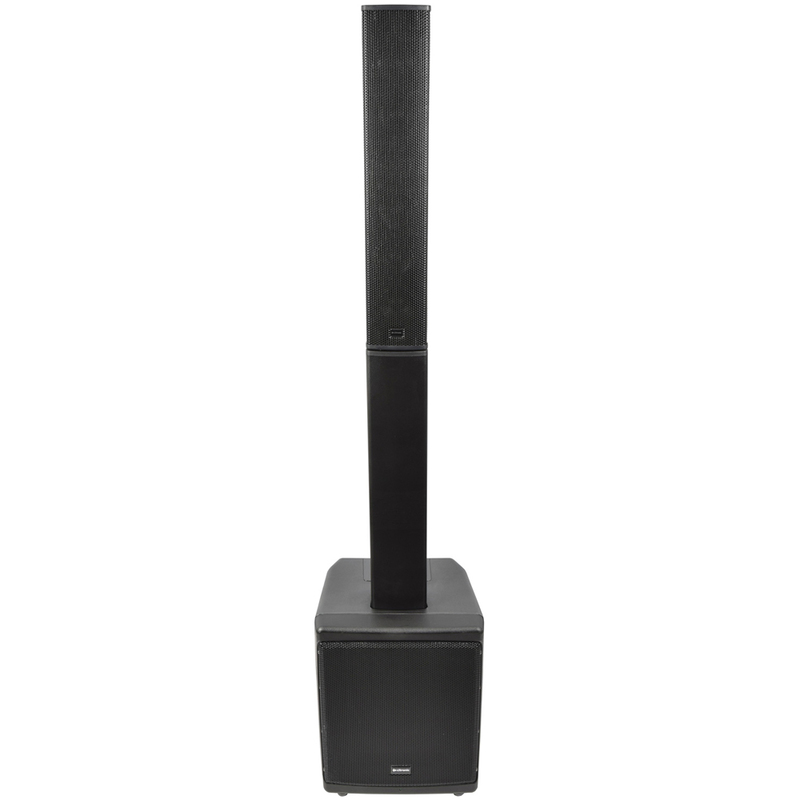 2 extension pieces allow for the column speaker to be set at 3 different heights. 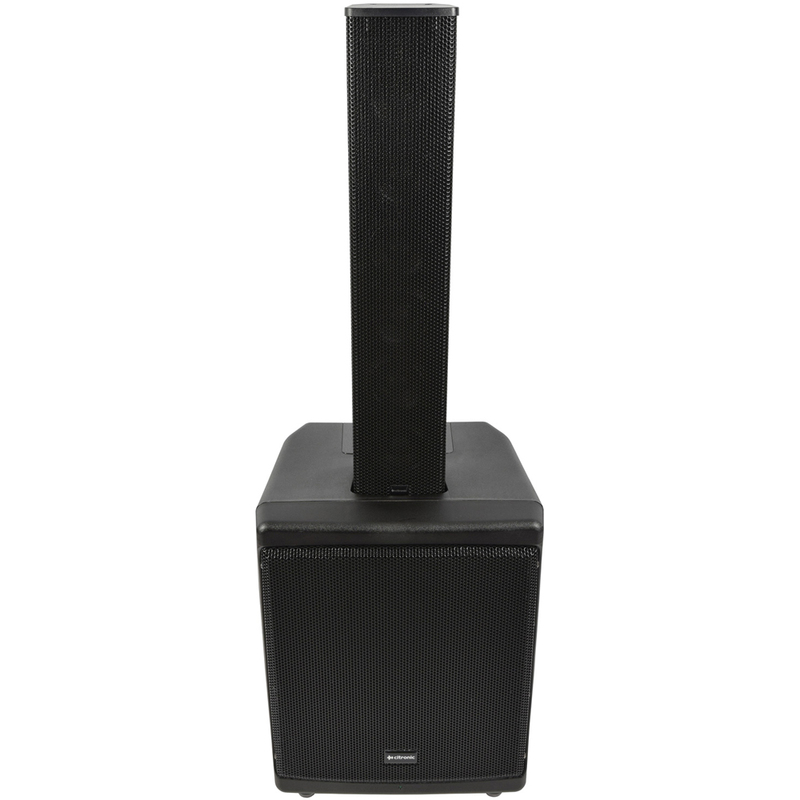 Inputs include 2 x XLR mic/line with switchable echo; stereo RCA and 3.5mm AUX; and a Bluetooth receiver. 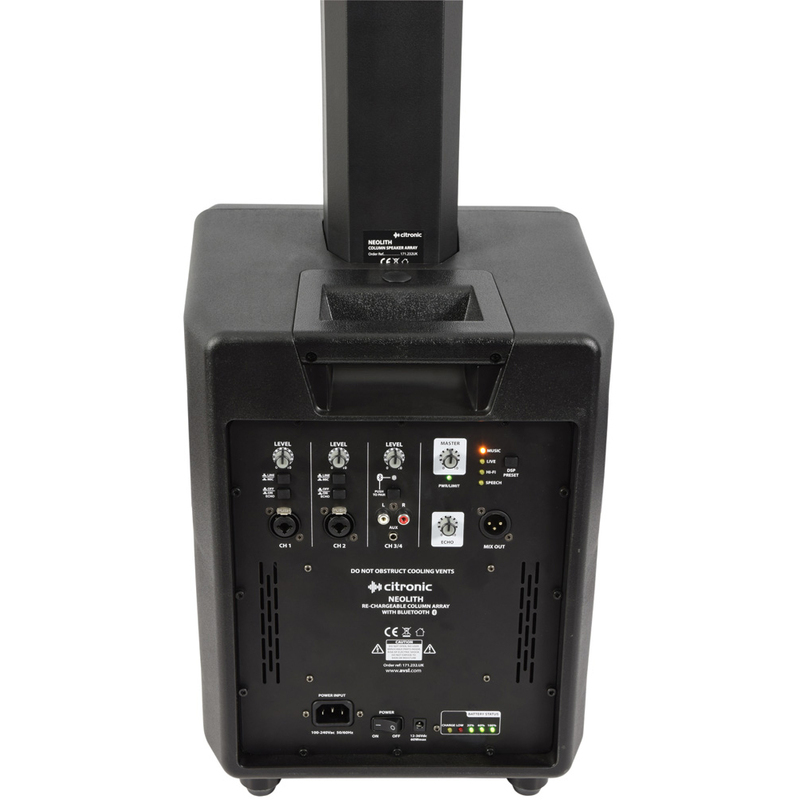 Powered by inbuilt rechargeable lithium ion battery or mains supply.